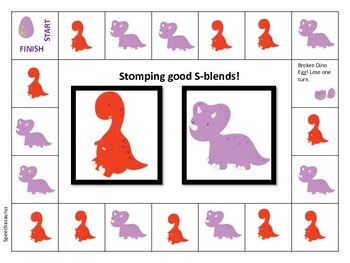 This product targets S blends in a fun game format. 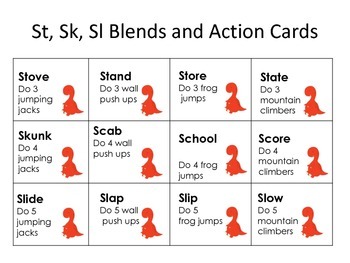 There are 24 stimulus cards that include a target word and then either an action or a functional WH question for the student to complete after they say their target word. 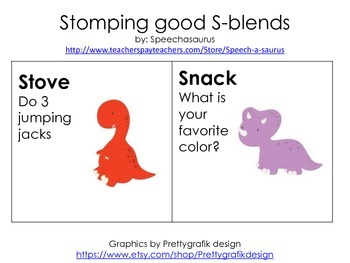 S blends included in this activity are: st, sm, sn, sl, sp, and sk.